Doubt, manifested in many forms from the assurance of one’s salvation to factual questioning, is certainly one of the most frequent and painful problems which plague Christians. These studies propose to deal, successively, with the general topic of doubt as experienced by believers, and then, chiefly, with practical suggestions for the possible resolution of each of three prominent types of doubt. Afterwards, we will examine several pertinent issues which might potentially be of further assistance to persons experiencing such uncertainty. Habermas covers the three types of doubt–factual (doubts about the truthfulness of Christianity), emotional (doubts arising from an emotional response to Christianity), and volitional (doubts from the unwillingness to submit the will to God). 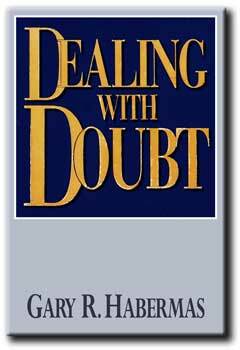 If you need help identifying where your doubts are coming from and how to resolve them, this book could be a help to you.